The Fellowship is a clinically-based research Fellowship with a focus on shoulder and upper limb surgery covering arthroscopy, reconstruction and arthroplasty. This includes a significant level of sports and related injuries and orthopaedic trauma. Geelong is a large regional centre with a population of over 250,000 people, which is serviced by a total of ten practicing orthopaedic surgeons. The area of orthopaedic support covers a population of over 500,000 people when including some of the more tertiary referral work in reconstructive surgery. Of these surgeons, nine are members of the Orthopaedic Unit at University Hospital Geelong within Barwon Health and currently, actively participate in a blend of public and private orthopaedics. Among this group there is united support for the orthopaedic fellowship. The Geelong Orthopaedic Fellowship position started in July 2006. The aim is to provide advanced orthopaedic training in upper limb arthroplasty, shoulder, sports and upper limb surgery. The Fellowship is based in Geelong which is a regional referral centre, including tertiary referral for some more complex arthroplasty, paediatric, orthopaedic oncology and upper limb reconstructive conditions. Geelong itself is a blend of industrial, professional, coastal and rural demographics. The setting is predominantly rural coastal, being the commencement of the Great Ocean Road and the gateway to extensive coastal, surfing and recreational playgrounds. It is a one-hour drive from Melbourne, serviced by an excellent freeway as well as a regular train service that takes a little over an hour. The lifestyle is relaxed and casual with a wide range of social, cultural and sporting opportunities available. Geelong is the home of the successful ‘Geelong Cats’ Australian Rules Football team, the largest regional side in the national competition. The Fellowship is clinically based with a linked research component. The clinical component is supported by the active orthopaedic surgeons in Geelong and co-ordinated by Professor Richard Page. It is a mixture of public and private orthopaedics, to provide a full spectrum of clinical and surgical experience. There are four key clinical and surgical opportunities that Fellows can participate in within the programme. These are arthroplasty, arthroscopy, upper limb sports orthopaedics, reconstructive orthopaedics and orthopaedic trauma. The arthroplasty experience includes a full range of upper limb arthroplasty exposure. The arthroscopy and sports orthopaedics includes full exposure to shoulder, elbow, wrist and hand surgery. Orthopaedic reconstruction may include opportunities in shoulder, upper limb and hand surgery. Trauma surgery experience can be provided in association with University Hospital Geelong, the major regional trauma referral centre. There is an orthopaedic on-call roster that involves both registrars and consultant orthopaedic surgeons with close, direct supervision by the orthopaedic consultant surgeon on call. This is serviced by daily trauma lists, as well as emergency “out of hours” operating theatres. There is potential for a Fellow with the appropriate experience and interest to participate in this. 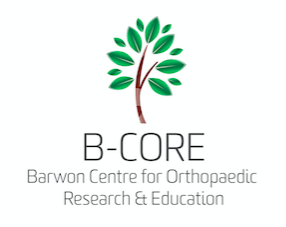 The Barwon Centre for Orthopaedic Research & Education (B-CORE) of which Prof Richard Page is the Director will support the research component. There is opportunity to both initiate, and complete research projects that are currently under various stages of investigation. Time is dedicated in the weekly programme for research, with an expectation that at least one major paper will be completed in each six-month period. The Fellowship is constructed around the four major hospitals in Geelong; University Hospital Geelong (UHG), St John of God Hospital Geelong, Epworth Geelong and The Geelong Private Hospital. University Hospital Geelong is a Clinical School and primary University Hospital of Deakin University, which commenced student intake in 2008. B-CORE, a growing orthopaedic research institution, is a component of this and currently employees a research co-ordinator and a data manager at UHG to assist in a wide variety of current orthopaedic research activities. In addition, there is a Post-Graduate Research Fellow and higher degree students supervised under B-CORE. 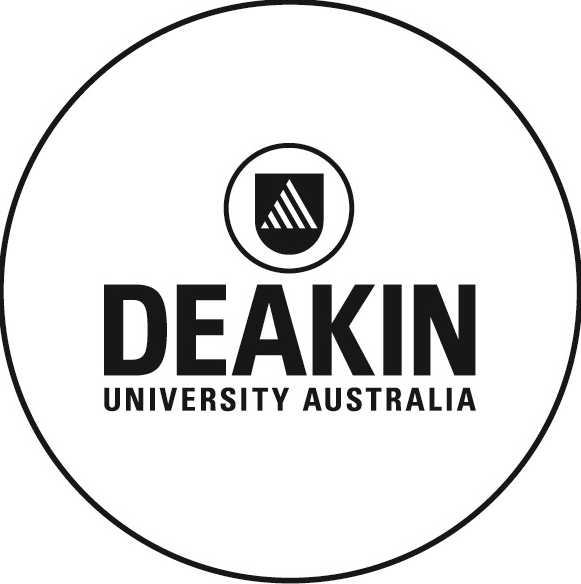 There is potential for collaboration with the Institute for Frontier Materials and The School of Medicine, both at Deakin University, which have extensive materials and basic science research laboratories respectively in Geelong. Currently there is shared supervision of higher degree students within the Faculty of Health. The preferred duration of the Fellowship is for twelve months and would require the successful candidate to live locally in the Geelong region, although depending on demand and interest, shorter periods will be considered. The salary is funded up to AU$50,000 per annum, supported by De Puy Synthes Australia (Johnson & Johnson). It may include a travel stipend to a national conference to present research results generated within the period in Geelong. Preference is given to post-fellowship candidates, looking at sub-speciality interest and experience. Assistance may be provided in identifying accommodation. Leave is four weeks annual leave and two weeks conference leave per annum. The Fellow would need to be registrable as a medical practitioner in the State of Victoria. Duties include, but are not limited to, assisting in the private surgical setting, participating in orthopaedic clinics at University Hospital Geelong as well as running orthopaedic research clinical review clinics and participating in all the Unit clinical and academic meetings. Opportunities may exist for periodic public operating lists as part of the surgical experience.